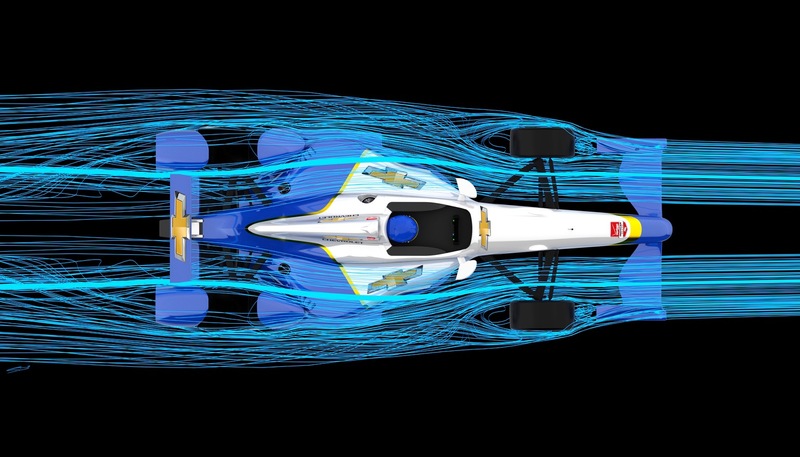 Chevrolet has announced a new aerodynamics kit for the 2015 Verizon IndyCar Series. 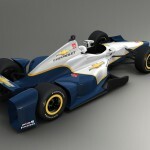 The new aero kit will be used on high-speed ovals, such as the upcoming Indianapolis 500. Developed in conjunction with the road course configuration, the speedway configuration emphasizes the low-drag features that enable Chevrolet IndyCar race cars to achieve speeds of more than 230 mph (370 kph) at the Indianapolis Motor Speedway’s famous 2.5-mile oval. Unique mainplane surface contour serves two purposes, the inboard section directs air to the radiator inlets to enhance engine cooling while the outboard section creates airflow around the front tire to minimize drag. The engine cover and side pods are shared with the road course configuration, but are optimized in their speedway configuration by adding close out panels to their trailing edges to reduce drag. Louvers in the side pods provide cooling benefits and clean airflow to the rear of the car, delivering higher levels of diffuser and rear wing efficiency. The wheel wedge configuration is fully adjustable, providing various levels of downforce and efficiency to meet changing track conditions. The rear bumper pods and wheel wedges were designed as an integrated solution to reduce vehicle drag. A high-efficiency upper rear wing, unique for the Indy 500, features low-mass rear wing pillars and a low-mass rear mainplane. 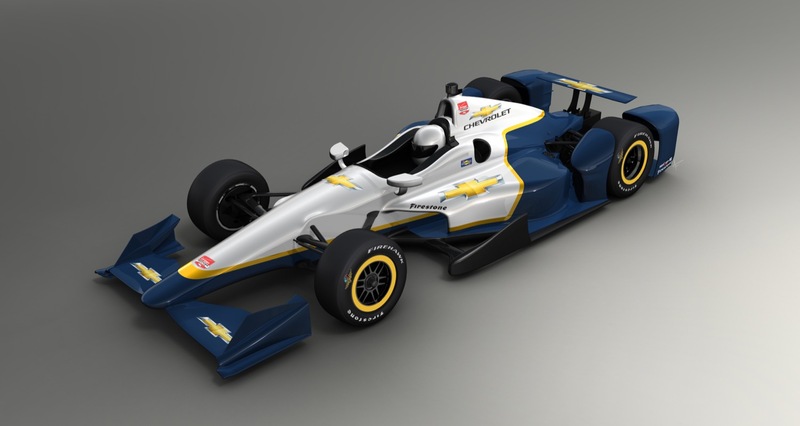 Chevrolet race teams will utilize the road course aero kit on May 9th for the Angie’s List Grand Prix of Indianapolis on Indy’s infield road course. 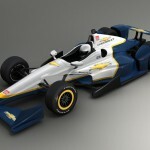 After that, the teams will convert their cars to the speedway aero kit for the Indianapolis 500 on May 24th. 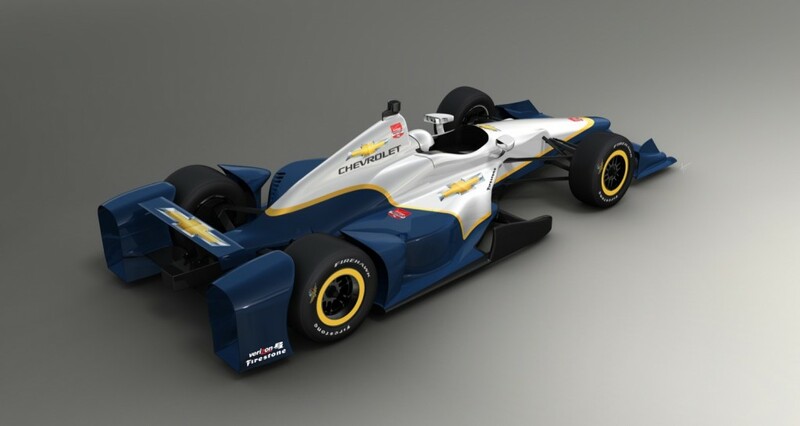 One word for the current generation of (not just Chevy) indy cars – ugly. Ever since they introduced the bodywork-bumpers behind the rear wheels, it became “just barely open wheel” racing. Started to lose interest when CART dissolved and just gave up on Indy car during the disastrous Tony George era. In many aspects Indy car racing seems to have lost its way. I tune in occasionally to see if there is anything to reignite my interest. At this point, F1 seems to be more engaging on many levels. jbgjresq, totally agree with your comment. I posted in a previous article that it no longer is open wheel racing. Is it for safety, or lack of driver quality? I watch Indy, but that’s about it. I lost interest with the lack of Americans getting rides.